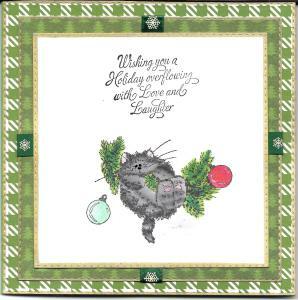 #51 -- Roberta Stevenson with her Xmas Card for Vet 2015. Roberta please email me at sberkley51 at gmail dot com to claim your prize. 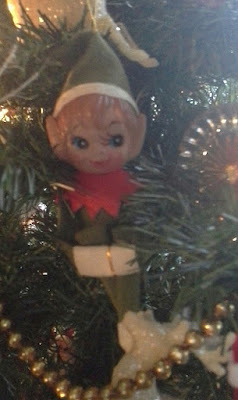 My Elf on a shelf is sitting on a piece of glitter tape, added bells and embossed Christmas background too! 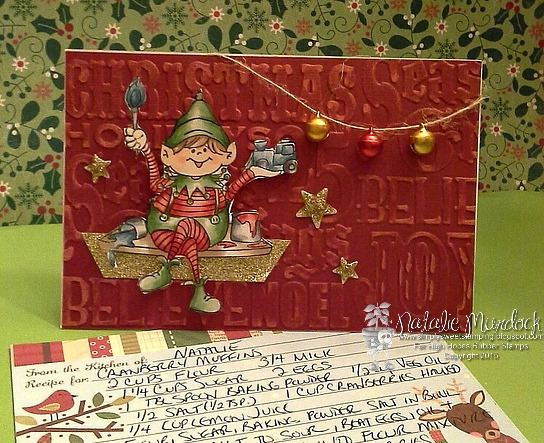 The recipe was part of our recent Christmas Recipe card swap and was a fun one to make! 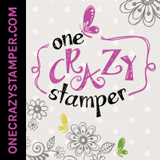 In other news I will be moving over to Fridays here at One Crazy Stamper! So, starting this Friday Jan 1st please stop by as I will be sharing a creation with you! Thanks for peeking, Happy New Year! Hope you all had a good Christmas and time well spent with family/friends. For my post today for OCS I have used an older high Hopes Rubber Stamp called Frozen Fun. The winter storms are beginning to roll in. There are still a few more days to enter this month's challenge. Thank you for stopping by the OCS store and blog. Have a Happy New Year and we will see you in the new year. Wow my last card for 2015, wicked, I must need to make another at one point before the end of the year. Haha, I hope you all had a Blessed Christmas with family/friends and relaxing somewhat before the routines get back into swing. 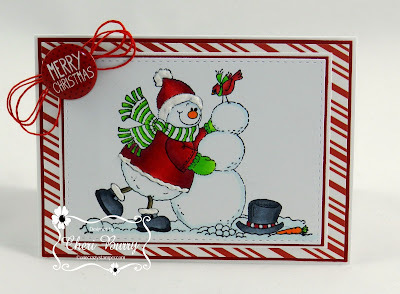 My card today is for our month long challenge here at One Crazy Stamper and you have a few days left. So play along with the fantastic design team. 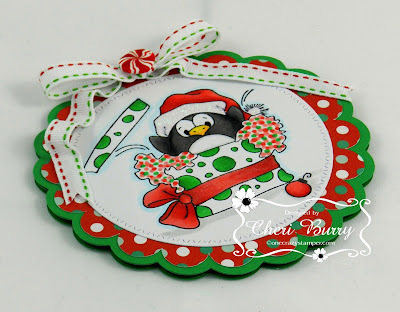 We are showcasing the wonderful High Hopes Rubber Stamps this month, so much fun, this one I am using today is called Penguin Love, so cute right! 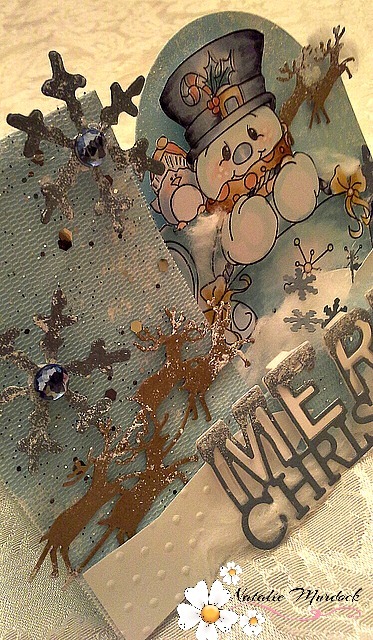 I had so much with the image, but then went simple for the card, using the pattern paper from Echo Park Hello Winter, and I added some gems and the sentiment Have An Ice Day from HH Stamps, colored up my image with Copic Markers and added some Liquid Applique onto the hat and the tummies of my little friends. So much you could do. Anyway have a wonderful New Year wherever you are, and see you again in 2016! Thanks to you all for stopping by my blog this year and coming here to One Crazy Stamper, you really are the best. Till next year, happy crafting and play safe. I hope everyone had a wonderful Christmas with your families! I certainly did and I must say I am stuffed LOL! 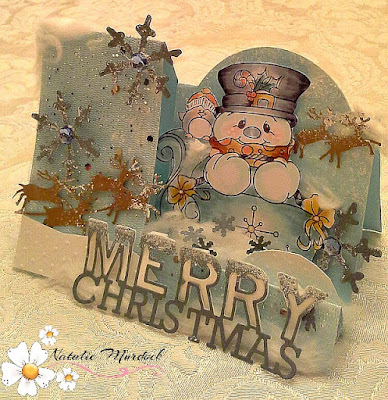 Today I am sharing one last Christmas card that I made. This High Hopes stamp is called "Making Friends". This adorable snowman doesn't just have to be used just for Christmas, he's the perfect winter themed stamp as well. 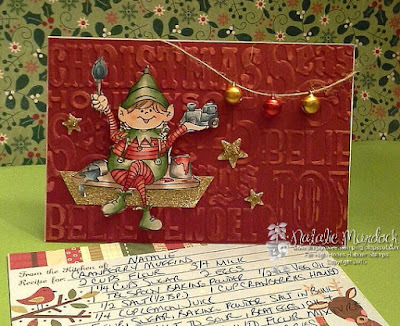 I am using paper from the Photoplay's Dear Santa Collection. Some twine, button and a little bit of liquid appliqué finished off my card. The inside sentiment is also from High Hopes and is called "Work Of Art". "Happy Christmas to all, and to all a goodnight!" I am back with another post for this week for OCS. Christmas Eve has finally arrived and the children will all be in bed eagerly awaiting the arrival of Santa Claus. 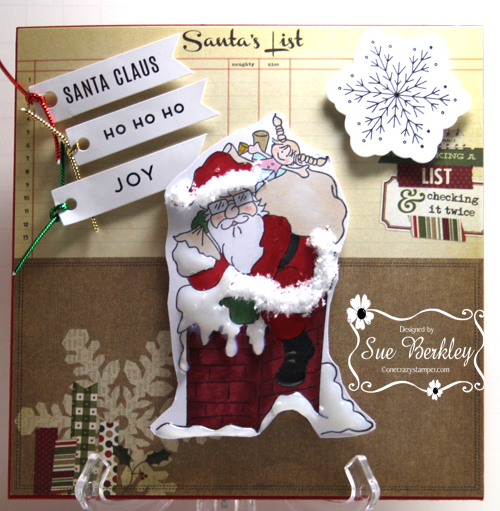 For my card today, I just had to use Santa Bob from the "Joys of the Seasons" release by High Hopes Rubber Stamps. As I wanted the whole sheet of design paper to be seen, I only used a red card stock for the base of the card and no other patterned paper. 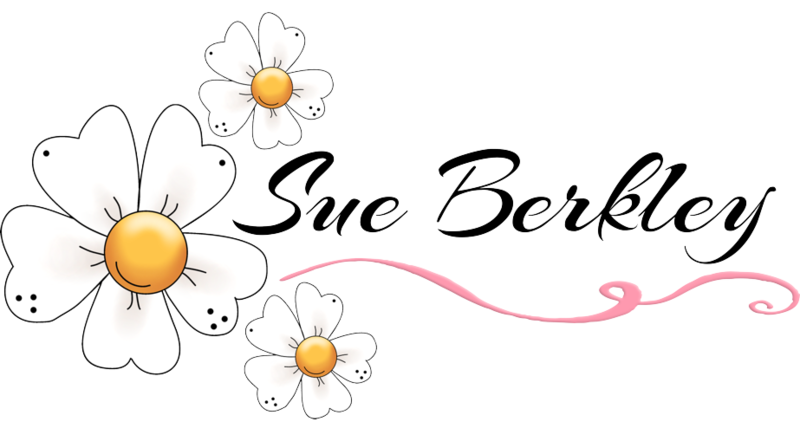 I also used some of Heidi Swapp's Minc accessories also. Hope you enjoyed the card and as Clement Clarke Moore said in his classic Christmas poem "Twas the Night Before Christmas" -- "Happy Christmas to all, and to all a goodnight." Do have a wonderful Christmas and enjoy the time spent with your loved ones. 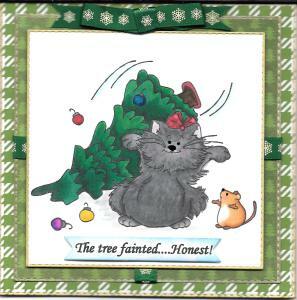 Merry Christmas -- High Hopes Stamps! Hi There, I'm back again with one last card before Christmas! Using a side step card I created a Winter scene complete with my Favorite Snowmen and reindeer too! I tried to keep the colours in the Blue and brown theme as the non traditional colours is a nice change from Red and Green. Nope, non at all, not even a tiny tiny snowflake. Leanne and Shari how about sending some snow from Alberta this way. 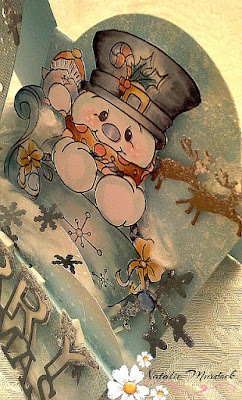 Maybe some will fall before Christmas Day, if we all Think Think Snow!!. 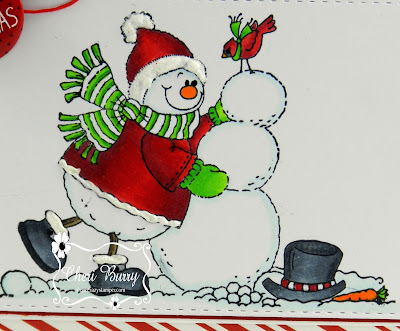 For my card today, I used this adorable image called Snowman Snowball, from the "Joys of the Seasons" - High Hopes Rubber Stamps latest release. Do enter this month's challenge and show us your creations. Don't forget to send Santa your wish list. OCS has some great products along with great prices. Hello Friends and welcome back glad you stop by. My cards yes cards, have two to share with you today, the first one is from the High Hopes Rubber Stamp company and it is called. Skating Snowlady, and I used the Ho Ho Ho stamp from them as well. I colored it using my copic markers, added some snowflakes. 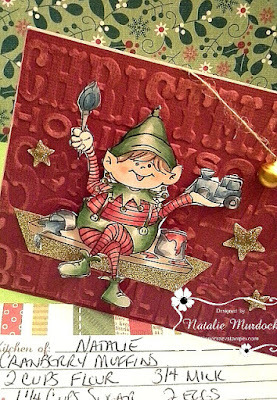 My second card as well using High Hopes Rubber Stamps called Happy Mail. and the We Wish You Merry Christmas sentiment again. Love these sentiments. I used some fun pattern paper and popped up my stamp with some foam tape. I do hope you get a chance to share your creations with the wonderful team here at One Crazy Stamper. Till next time Happy Crafting. What's in the Christmas Present?? A Penguin is what's in the present! Isn't he just adorable! 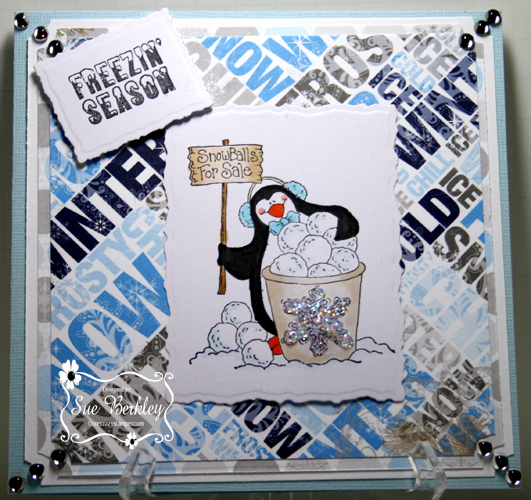 This stamp is from High Hopes Stamps and is called "Penguin Surprise"! 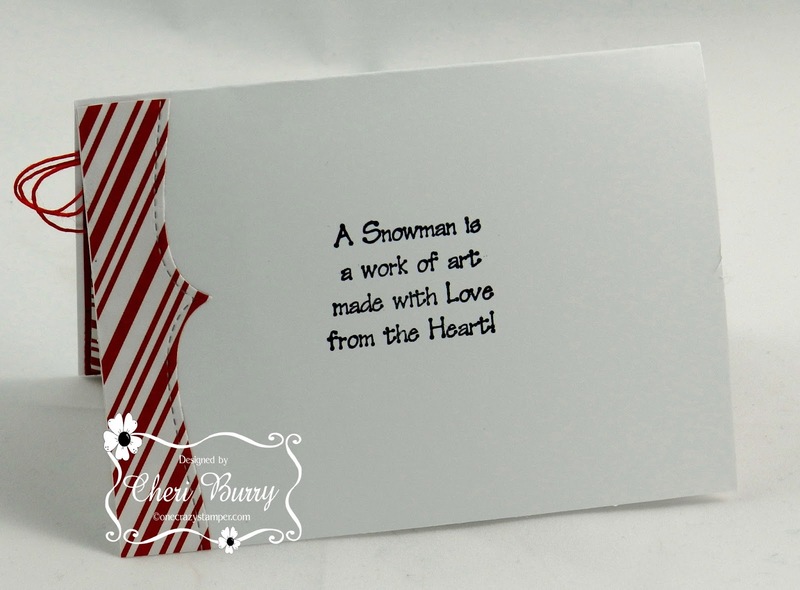 The Sentiment is also from High Hopes and is called "Ho Ho Ho". This is an easel card so it will lay flat when mailed and then you can prop it up against the gem brad when on display. Thanks for stopping by today. Hope you have a fabulous weekend! Oh, Oh, I'm in Trouble! !